With political equations changing in bastions of Left unionism, stiff challenges await the soldiers of strikes and bandhs. After the results of the Assembly elections, two bastions of Left-affiliated trade unionism now stand faced with two different challenges. In West Bengal, trade unions have lost the shelter of the Left Front and will have to deal with a government not led by the Left forces for the first time in 34 years. The offices of CITU and AITUC and the do-union-and-no-work believers of the Coordination Committee that have flourished in the past three decades will now have to face Mamata Banerjee. 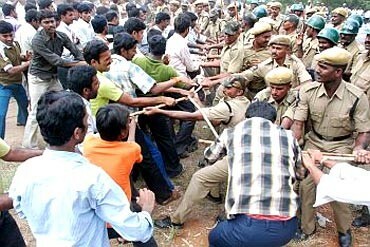 In Tamil Nadu, the soldiers of strikes and bandhs will have to confront a government supported by their own brethren. Time has been witness that it is never easy. When the Left had backed Mulayam Singh Yadav's government in Uttar Pradesh, it could do nothing more than raising a few murmurs and putting up a frail protest when the state police opened fire at workers. Travel back in time to better understand the role Left-backed trade unions have played. A few years back, Buddhadeb Bhattacharjee, as the chief minister of West Bengal, came to a CII event in Delhi to woo investors. After the communist delivered a passionate speech seeking capital, a gentleman from the audience took the microphone and said, "Twenty years ago, I had a factory in Howrah. 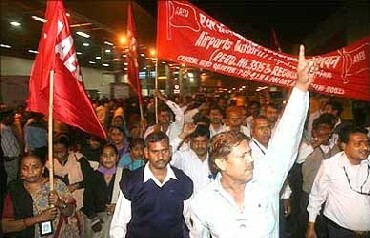 Because of CITU's atrocities, I was forced to shut my factory there and shift to Gurgaon. If I wish to return to Bengal today, can you assure me that your trade unions will not create problems?" Bhattacharjee acknowledged the trade union trouble, saying the word "gherao" was the contribution of these unions the English dictionary. He assured trade unions had become more responsible and investors would not have to face disruptions. After a few years, Bhattacharjee, on another investment-seeking mission, remarked at a similar event organised by the Bengal Chamber of Commerce in Kolkata that he, unfortunately, belonged to a party that called and supported bandhs. He added he would definitely protest the next time a bandh was called. Within 24 hours, he drew strong censure from his own party, and was attacked by the bandh experts of the Left trade unions for his "insensitive remarks". 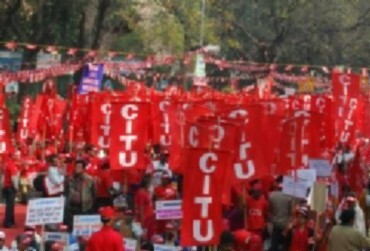 CITU President A K Padmanabhan, who spent all his years in Tamil Nadu before coming to Delhi to take all-India responsibility of the union, says: "The response of the trade union will depend entirely on the attitude of the government. We want to know from Mamata Banerjee whether workers are part of her Maa-Mati-Manush agenda or not." He refuses to believe they would have to go slow against Jayalalithaa. "Earlier too, we have seen friendly governments. But it has nothing to do with the movement of the trade union. We are fighting for workers' rights and it will continue, irrespective of who is in power." AKP, as he is popularly called by his comrades, does not think the electoral boost to the UPA will have any effect on their unity with the Congress' Trade Union wing, INTUC. He says, "INTUC has already made it clear that it is not looking at politics. We are united for the sake of workers. And our unity will continue." H Mahadevan, the general secretary of CPI-affiliated AITUC, also echoes the unity chant. B P Pant, director of labour, employment and skill at Ficci feels the relevance of the Left trade union will slide further. 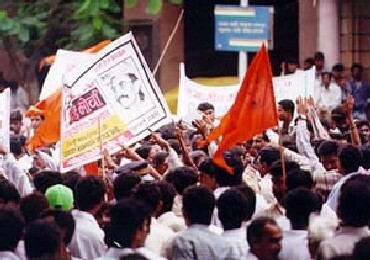 He points out that the decline of the left unions had begun even earlier that this, as CITU slipped from the third-largest union in 1989 to the fifth-largest in 2002. 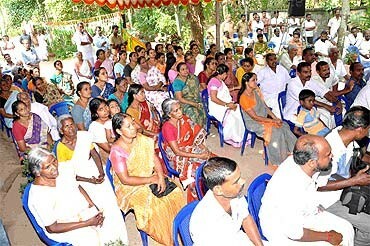 Pant says the anti employment policies of the Left and the Left trade unions have helped nobody. "It is obvious and known to all that you have more jobs if you have pro-investment policies. But the labour policy continues to be a bottleneck," he says. He refuses to accept the argument that a liberalised labour policy would necessarily have to be anti-labour. "It would be anti-labour, provided there is no social security benefits guaranteed. No one wants that," he adds. The unity bid of the unions does not seem to have alarmed bodies like Ficci. They feel the Left is close to vanishing as a political alternative. 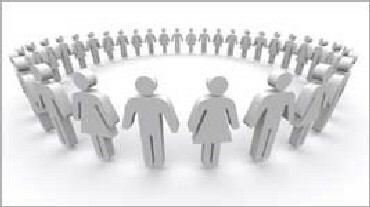 Trade unions are formed to bargain on behalf of workers. The educated and trained workers in the services sector don't need anyone to argue on their behalf. The manufacturing sector that needed them has only shrunk in size. P Roy, director general of Bengal Chamber of Commerce, the country's oldest chamber, feels the rabid unionism of the 1970s is long dead and the Left has realised that closing factories doesn't help anyone. He also feels Left unions may lose members, as there may be a trend towards chasing the power centre. There may be a lot of changing of jerseys, he says. An uncertain future seems to be awaiting Left-affiliated trade unions and they will have to jostle for space both in Tamil Nadu and Bengal, where trade unions of Trinamool Congress and AIADMK will certainly try to grab their space. It remains to be seen how they would sustain the competition and re-design themselves, staying relevant in even in today's times. So you think you are better than your boss?